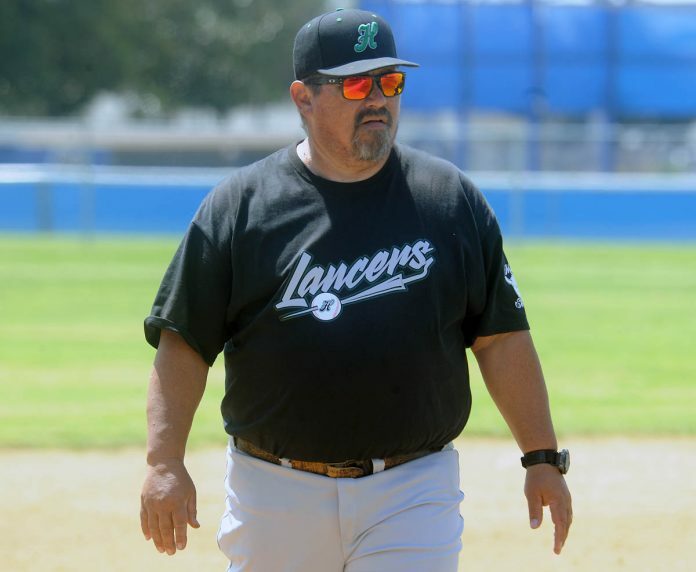 After the visiting Hilltop Lancers scored two runs in the top of the fifth inning to break a scoreless tie against Mesa League rival Chula Vista last Friday, it appeared as if the Lancers were poised to hand head coach Kurt Gritts his 301st career victory. But the host Spartans rallied for four runs in the bottom of the sixth inning to post a dramatic 4-2 come-from-behind win. Still, it’s hard not to take the spotlight off Gritts, who reached the magic 300 number after his team delivered a 4-1 win over the visiting Spartans the previous Wednesday. The Lancer coach said he learned much of his coaching skills from legendary Hilltop coach John Baumgarten as well as his late father Joy Gritts. Baumgarten coached the Lancers from 1965 to 2002, collecting 407 wins during that span. His teams won CIF championships in 1979 (Class 2A), 1983 (Class 3A) and 1985 (Class 2A) and finished runner-up in 1981 (Class 2A) and 1994 (Division III). The playing field at Hilltop High School is named in his honor. The younger Gritts served as Hilltop’s junior varsity coach for 13 years under Baumgarten; Gritts also served as an assistant football and wrestling coach at the school. The elder Gritts coached football and baseball at Marian High School and later served as the head coach of Hilltop’s football team. Gritts played at Hilltop from 1978 to 1980 before attending Humboldt State. He was part of Baumgarten’s first CIF championship team in 1979. As a head coach, Gritts led the Lancers to a runner-up finish in the Division II finals in 2007. 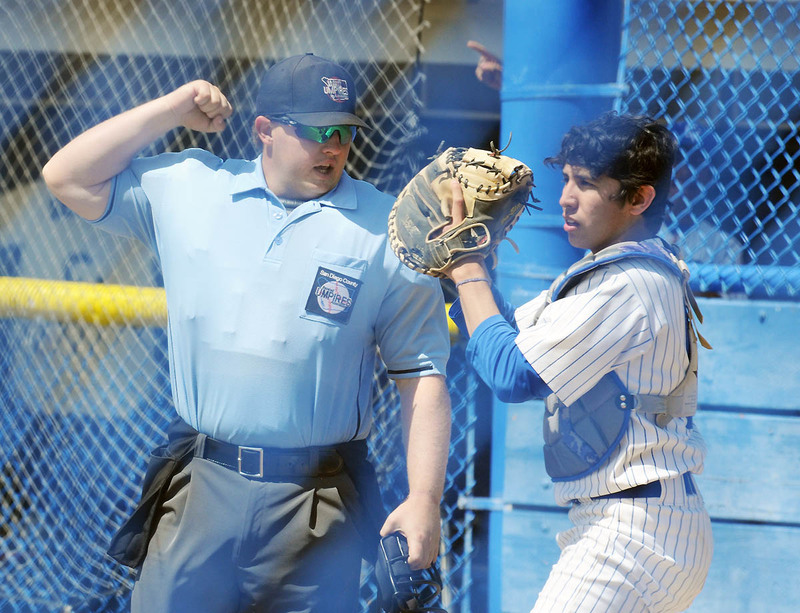 During his time on the bench, Gritts has seen former students Jose Silva, Mike Jacobs and Greg Allen realize their boyhood dreams of playing Major League Baseball. Silva, a right-handed pitcher, made his MLB debut with the Toronto Blue Jays in 1996 and followed that with stints with the Pittsburgh Pirates (1997-2001) and Cincinnati Reds (2002). He finished up his playing career in the Mexican League. Silva, who earned a bronze medal with Team Mexico at the 2007 Pan American Games in Rio de Janeiro, finished his MLB career with a 25-28 record, 5.41 ERA and 298 strikeouts. Jacobs, a first baseman, made his MLB debut with the New York Mets in 2005 and subsequently played for the Florida Marlins (2006-08), Kansas City Royals (2009), Mets (2010) and Arizona Diamondbacks (2012). His career numbers include a .253 batting average, 100 home runs and 312 RBI. He is currently serving as manager of the Clinton (Iowa) LumberKings in the Midwest League and continues to reside in Chula Vista during the offseason. 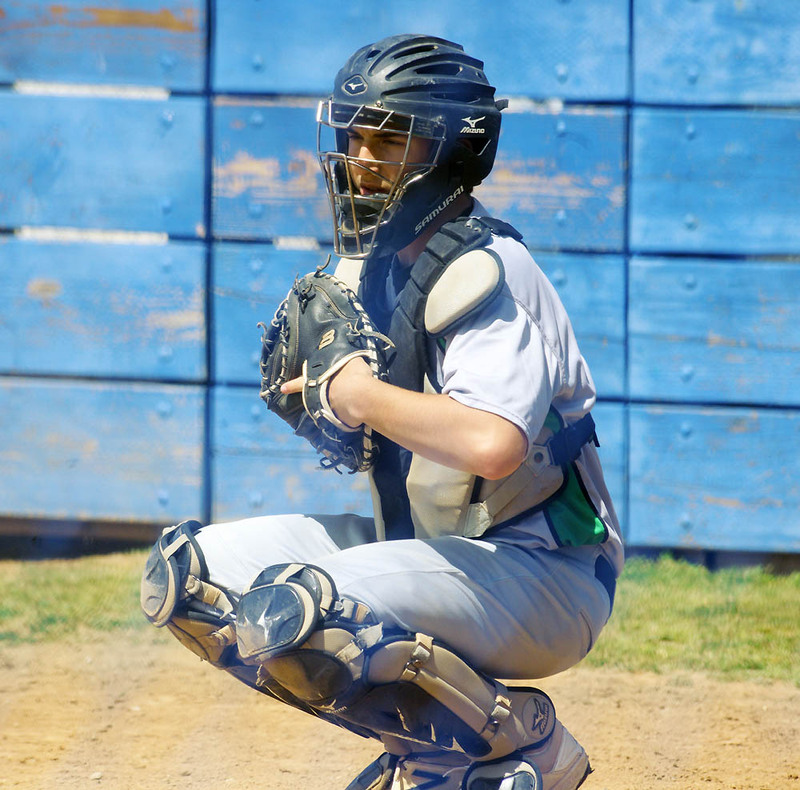 Allen, who played three seasons at SDSU after graduating from Hilltop, is currently playing with the Cleveland Indians. He made his MLB debut on Sept. 1, 2017. He hit his first MLB home run on Sept. 7. An outfielder, he has played in both the 2017 and 2018 American League divisional playoff series with the Indians, appearing in three games. He finished the 2018 season with a .257 hitting average, two home runs, 20 RBI and 21 stolen bases. Gritts said he takes much satisfaction in seeing his charges mature as individuals, not necessarily just better baseball players. “Seeing the kids become better individuals and learn how to deal with failure,” Gritts noted. Last Friday’s game was scoreless until an errant pick-off play at first base allowed Kellen Ince to score from second base. Diego Salcido then singled to score Alex Chacon. 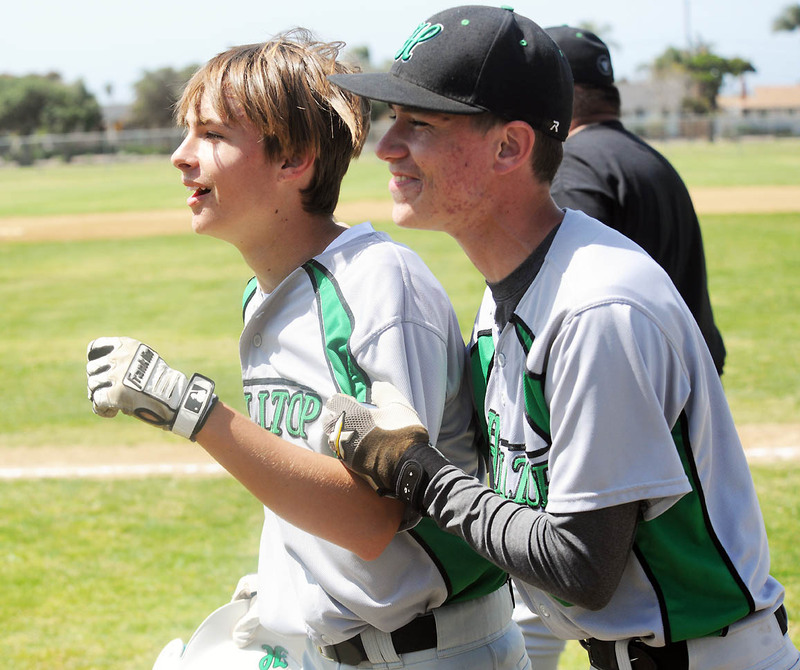 However, the Lancers, who boast four sophomore starters and a freshman (on the team’s junior varsity team) off the 2015 Chula Vista American Little League 11U All-Star team, were unable to hold the lead. A double by Randy Acosta brought in one run to make the score 2-1. There was more to come. An errant throw to first base on a dropped third strike put runners at first and third bases. 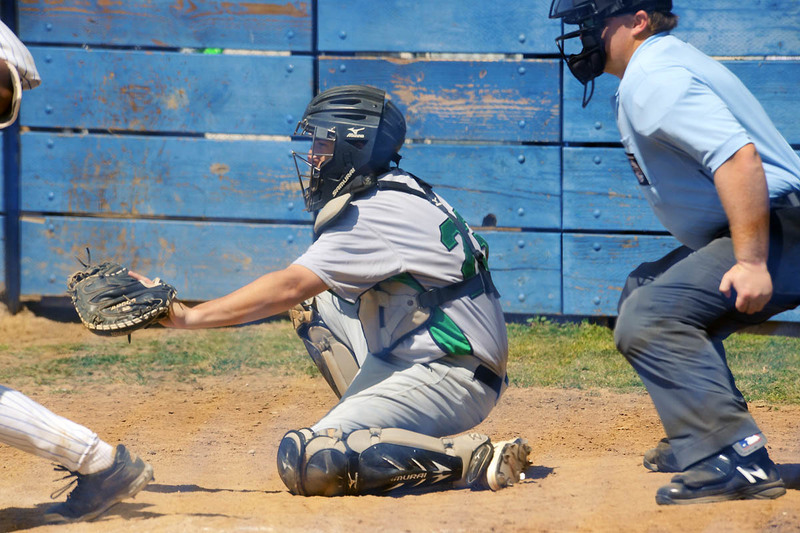 A passed ball allowed the runner from first base to move to second base, placing two runners in scoring position. 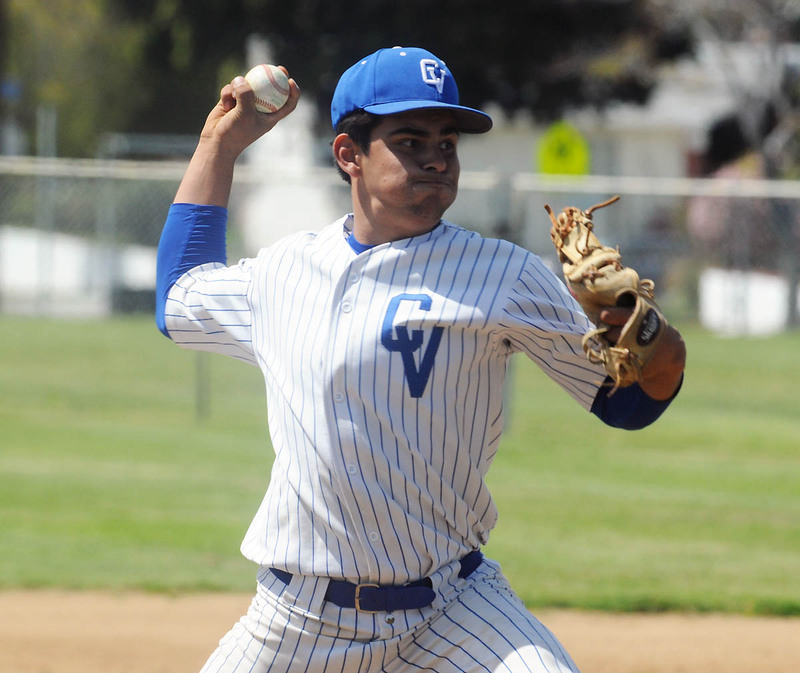 The next batter popped out but the Lancers proceeded to issue CV starting pitcher Antonio Garcia an intentional walk to load the bases in an attempt to produce a force-out at any base. 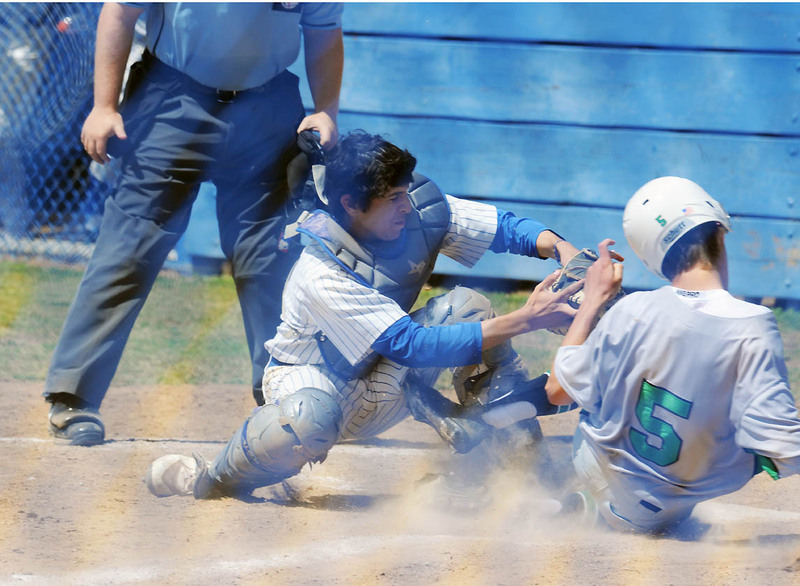 But the strategy backfired when the Hilltop catcher was unable to corral a pitch in the dirt that allowed Acosta to score to tie the game at 2-2. Albert Munoz followed with a base hit off the shortstop’s glove to score two more runs. 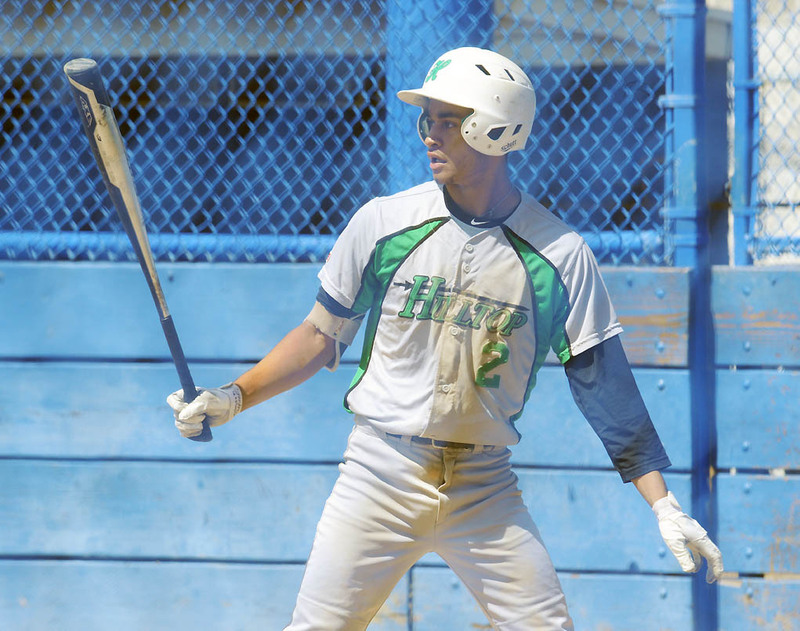 Hilltop threatened in the top of the seventh inning as Ince reached base on an infield hit. Chacon followed with a hit to place two runners on base. 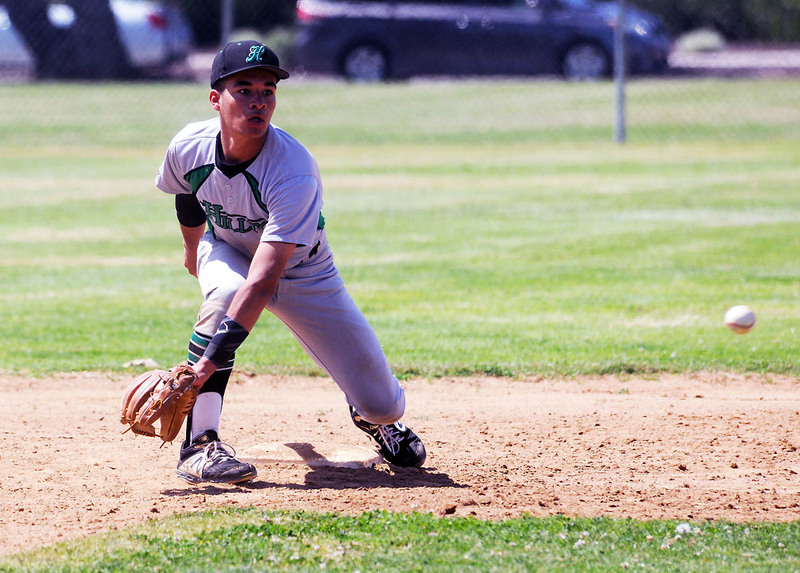 When Garcia was unable to field a bunt by Hilltop’s Salcido, the bases were then loaded. But the Spartans came up with the defensive play of the game to diffuse the Lancer rally. Ince attempted to score on a sacrifice fly to left field. 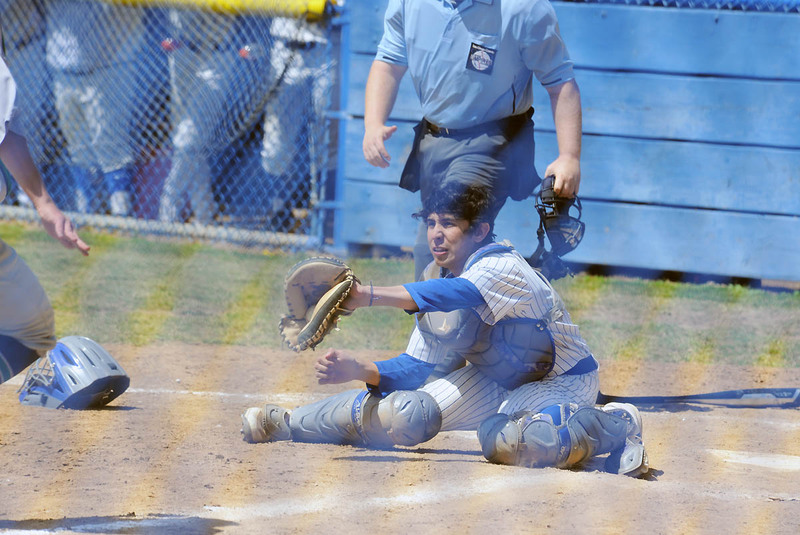 But the relay from Acosta in left field to third baseman Eric Ordonez to Munoz at the plate completed a double play. Alex Guerrero followed with a base hit to reload the bases but the next Hilltop batter bounced into a force play at second base to end the game. CV head coach Jim Westlund called the comeback victory a “breath of fresh air” for his squad, which would have otherwise fallen to 1-3 in league play with a loss. “This is something we haven’t had a lot of this year,” Westlund said. “We’ve had a lot of games take a left turn for us at the end. Gritts had a similar outlook on the outcome. 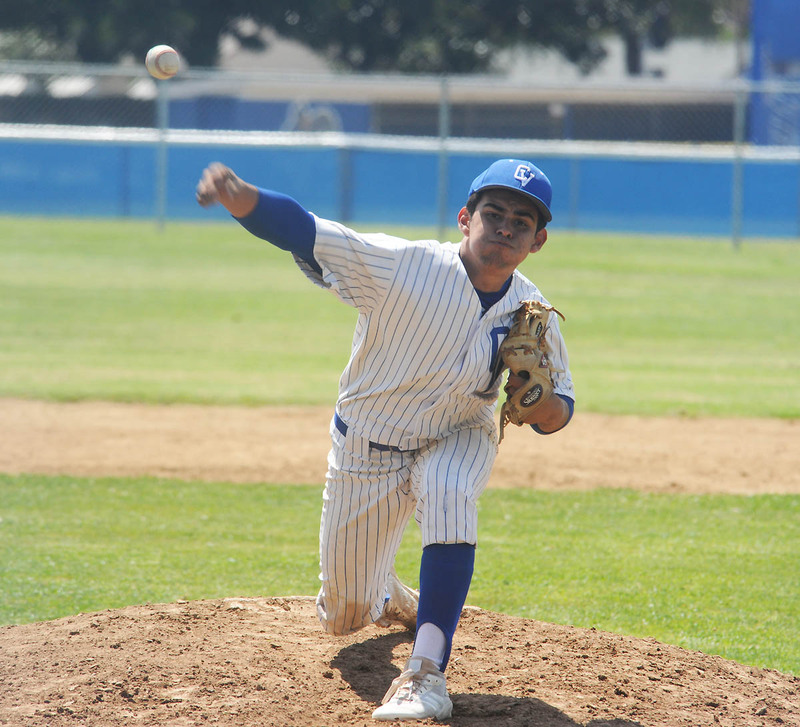 Garcia pitched all seven innings for Chula Vista, allowing 10 hits and striking out just one batter while issuing one earned run. 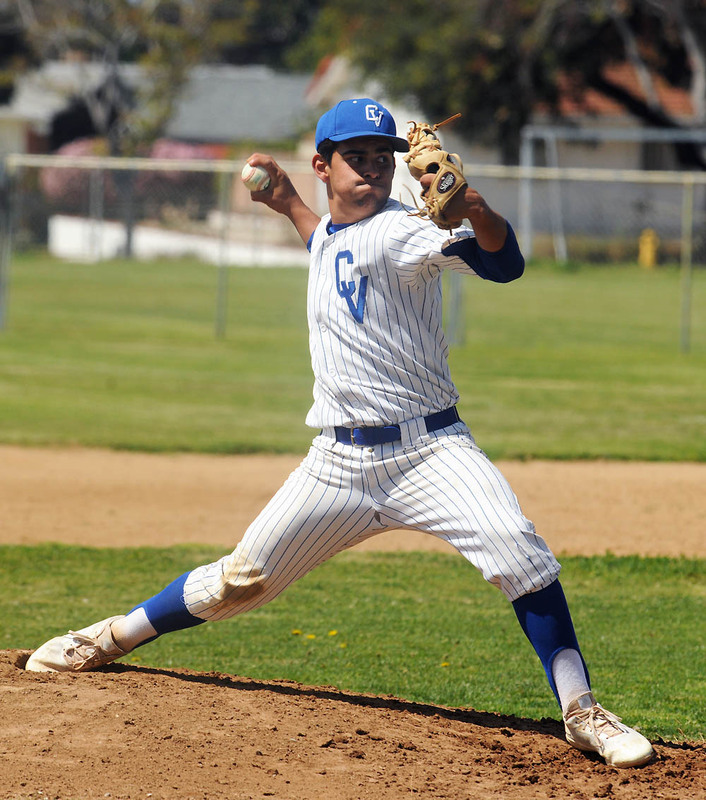 Westlund, who has coached at CVHS since 1993 and picked up his 300th career coaching win in 2015, admitted that his ace hurler didn’t necessarily have his best stuff on that day. 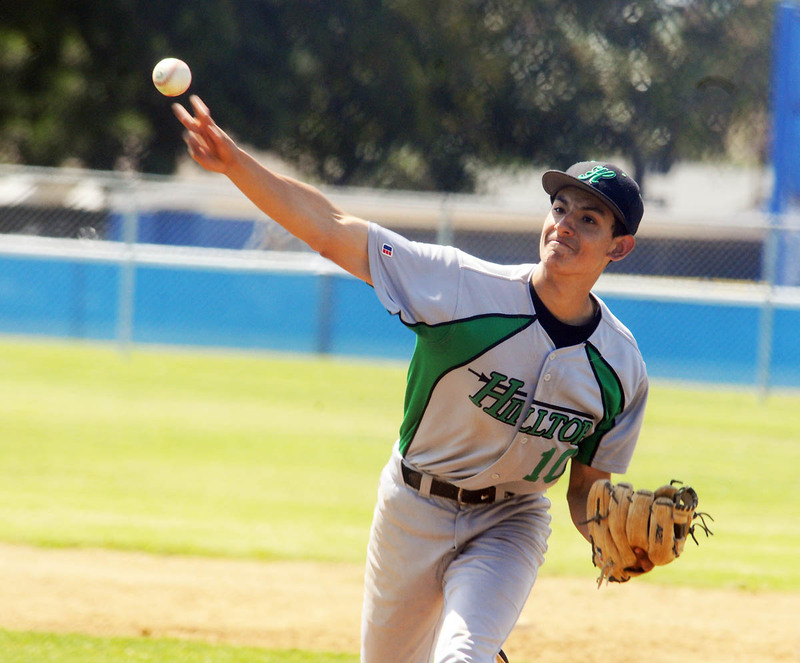 Xavier Gonzalez started on the mound for Hilltop but was relieved in the bottom of the sixth inning. The Lancers’ two hurlers allowed seven hits in the game. 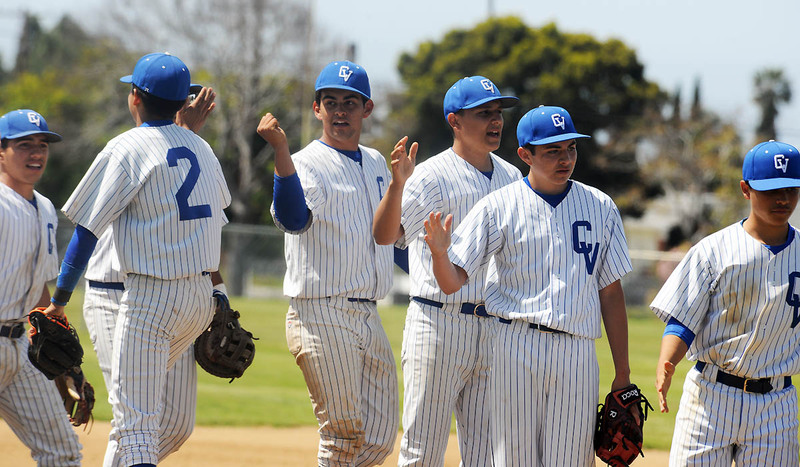 Acosta, Ordonez, Garcia and Cesar Rodriguez scored runs for the winners. 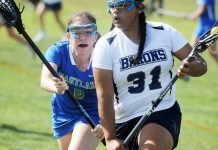 Last Friday’s loss dropped Hilltop to 1-1 in league play, 6-6 overall. Gritts said team goals are to make the upcoming section playoffs. Last Friday’s victory could not have come at a better time for the Spartans, who evened their league record at 2-2 and improved to 5-10 overall. 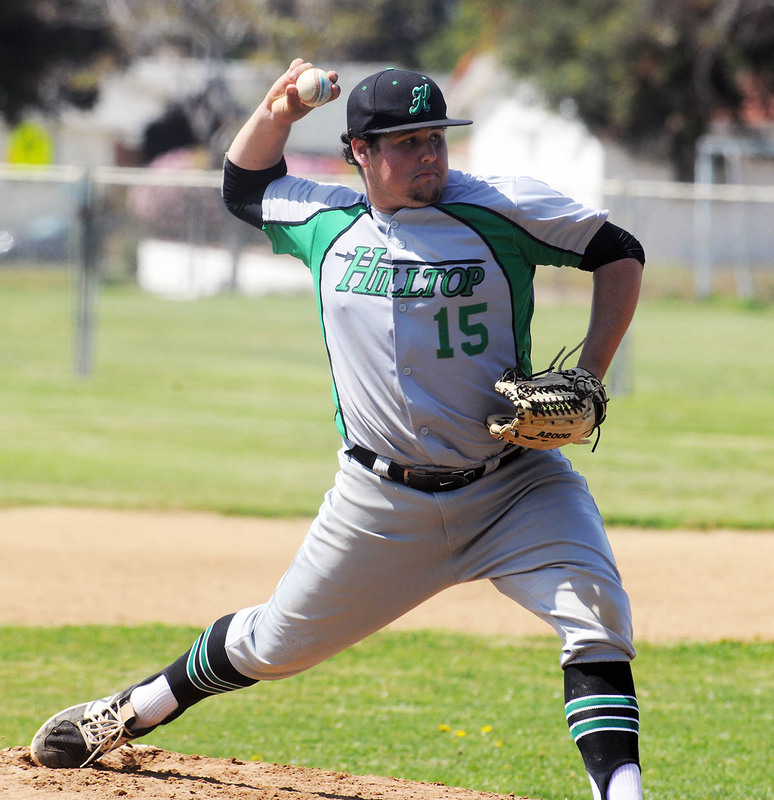 Hilltop plays at Eastlake (4-0 in league, 12-1-1 overall) on Wednesday and hosts the first place Titans on Friday. Both games are at 11 a.m.
Chula Vista next takes the field in a two-game series against San Ysidro (1-3, 7-9-1). 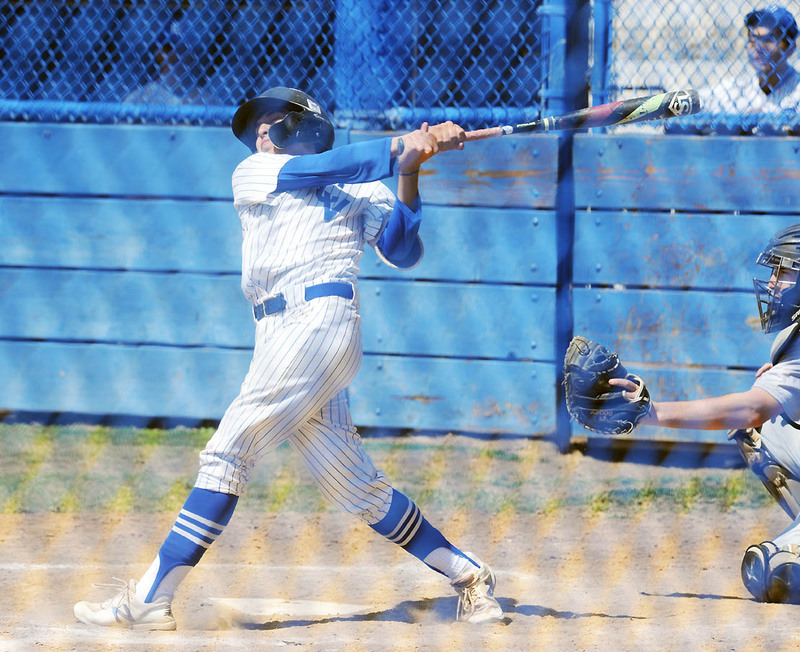 Eastlake swept its two-game series against Otay Ranch last week, winning by scores of 6-4 on Wednesday and 14-1 on Friday. Westlund and former Spartan head coach Bob Kennedy, who amassed 329 wins in a 26-year coaching career, are the only two coaches to surpass the 300-win mark at the west side school. 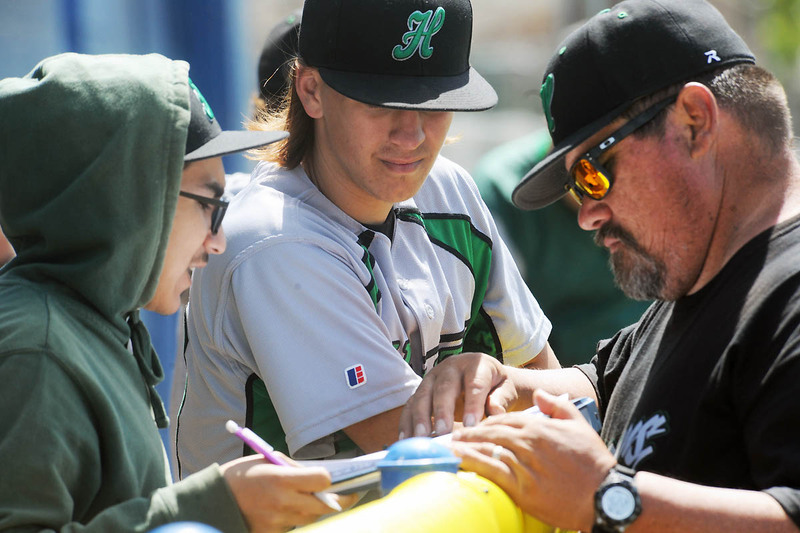 Montgomery’s Manny Hermosillo, who is closing in on 700 career wins, is the current South County leader. Behind seven dominant innings from Aztec reliever Adrian Mardueno, the San Diego State baseball team defeated defending national champion and No. 6/7-ranked Oregon State, 4-3, at Goss Stadium on Tuesday night (April 2). The Aztecs improve to 16-12 on the year while the Beavers fall to 19-6-1. Mardueno was nearly perfect for the duration of his outing, allowing just two hits and one walk over his seven innings of relief. Mardueno, who retired 21 of the 24 Beaver batters he faced, recorded six strikeouts. Mardueno’s seven innings pitched set a new career-high, while his six strikeouts is just one shy of his career-high of seven which he set on March 15 against Seattle. 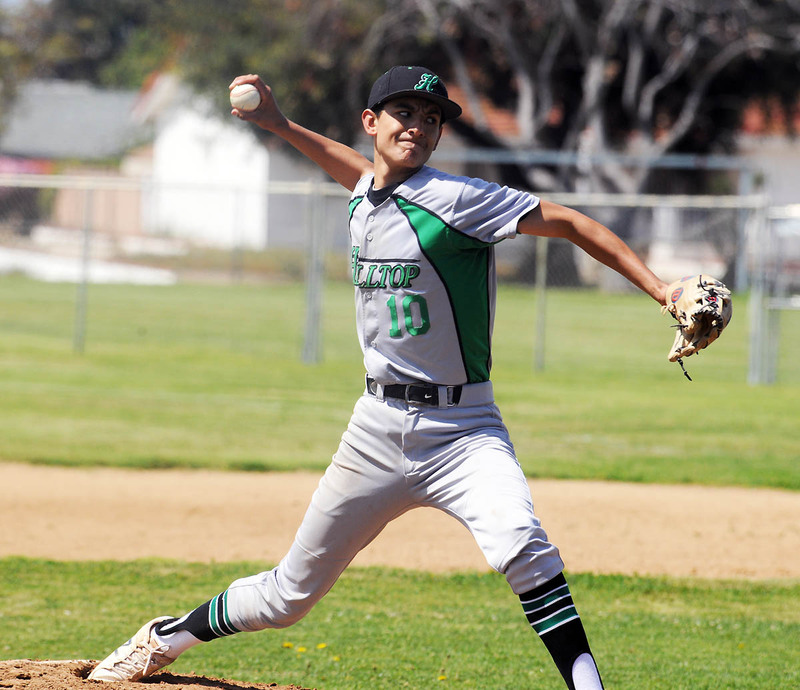 Mardueno’s biggest spot came upon entering the game, as Upland product entered the third inning with a bases-loaded, no-out situation. Mardueno struck out George Mendazona, the first batter he faced, before forcing Troy Claunch into an inning-ending 6-4-3 double play to end the threat and keep it a 3-2 Aztec deficit. The reliever appeared to get stronger as the game went on, as Mardueno finished with just one hit allowed over his final 4.2 innings pitched. The one hit was a two-out double by Beau Philip in the ninth inning, which was left stranded after Mardueno induced a game-ending Greg Fuchs groundout to first. The Aztecs scored their first pair of runs early, as a Joe Fitzhugh sacrifice fly scored Angelo Armenta in the first inning. The Aztecs extended their lead to 2-0 with Mike Jarvis’ second home run of the year in the top of the second. The Beavers scored all three of their runs in the second, as a defensively misplayed ball allowed a two-out Jake Harvey RBI double. The Beavers made the most of the Aztec miscue, scoring an additional two runs in the second to take a 3-2 lead. The Aztecs reclaimed the lead in the bottom of the fifth, with Eastlake High School alum Casey Schmitt recording a game-tying RBI single to score Matt Rudick just before Fitzhugh ripped a ball into the right-centerfield gap to score Schmitt for the go-ahead run. Each of SDSU’s top three hitters recorded two hits apiece, including Rudick (2-for-5), Armenta (2-for-4) and Schmitt (2-for-4). Rudick extended his career-best hitting streak to 20 games. Eastlake High School alum Brian Leonhardt made his second start of the season on the mound, allowing three runs that came after the misplayed ball second-inning. The freshman allowed six hits, three walks, and struck out the side in order all looking in the bottom of the first inning. Oregon State’s Sam Tweedt was handed the loss, allowing four runs on six hits in 4.2 innings pitched. SDSU’s win against No. 6/7 Oregon State is tied for the program’s highest-ranked win since defeating No. 5 San Diego 15-2 on Feb. 23, 2008. The Beavers were also ranked No. 7 when SDSU beat Oregon State 6-5 in Corvallis on March 28, 2016. SDSU closed out its two-game midweek series in the Pacific Northwest by dropping an 8-1 decision to Oregon State on Wecdnesday (April 3). SDSU falls to 16-13, while the Beavers improve to 20-6-1. The Aztecs scored their only run of the game in the second with Joe Fitzhugh scoring on a 6-4-3 double play starting the inning with a leadoff walk. Valhalla High School alum Casey O’Sullivan posted 2.1 scoreless innings out of the bullpen, allowing just one hit and working around four walks allowed. O’Sullivan also recorded four strikeouts, bringing his season total to a team-high 36. After the Aztecs got out of bases-loaded jams in both the fifth and sixth innings, the Beavers broke through with a trio of runs in the seventh to bring the score to its final 8-1. The Aztecs were hindered by nine walks allowed, while the Beaver pitching staff surrendered only two free passes in the contest. Matt Rudick extended his hitting streak to 21 games with a well-hit single to right field in the sixth inning. Rudick’s streak is tied for the longest hitting streak by an Aztec since Mitch Blackburn recorded a hit in 23 consecutive games during the 2010 season. The Aztecs return to conference play this weekend, playing a three-game series at Nevada that starts on Friday (April 5) at 6 p.m.
After erasing a 7-2 deficit with three runs in the sixth inning and two runs in the ninth inning, the San Diego State baseball team ultimately fell after Nevada’s Wyatt Tilley hit a bases-loaded walk-off single in the bottom of the ninth to end the game, 8-7. SDSU falls to 16-14 (5-6 Mountain West) while Nevada improves to 16-13 (6-7 MW). The walk-off run came after a two-run top of the ninth for the Aztecs to tie the game, as a Deron Johnson pinch-hit single kick-started the late-inning rally. Johnson eventually came around to score after an error by Nevada left fielder Daniel Perry and Matt Rudick later scored the game-tying run to knot the game at 7-7. The Aztecs were still threatening with two down in the ninth, as Chad Bible was intentionally walked to load the bases. The gamble ended up paying off for the Wolf Pack, as Nevada reliever Cooper Powell entered the game and forced a frame-ending fly out against Mike Jarvis to keep the scored tied at 7-7. Michael Paredes struck out a career-high nine in an impressive relief performance, allowing just four hits and two earned runs over the course of 5.2 innings pitched. After Paredes gave up two hits against the first three batters he faced in the bottom of the fourth inning, the freshman right-hander did not allow a hit until Joshua Zamora’s lead-off double in the top of the ninth. Nevada built a 7-2 lead by scoring in each of the game’s first four innings. The Aztecs, trailing 2-0 heading to the second inning, took advantage of control issues by Nevada starter Ryan Anderson, as back-to-back walks, a hit by pitch, and a bases-loaded walk by Brian Leonhardt (Eastlake High School_ gave the Aztecs their first run of the game. Jaden Fein later drove in a run on a fielder’s choice to tie the game at 2-2. Leonhardt posted a bases-clearing three-RBI double in the sixth inning, bringing the Aztecs within a pair of runs at 7-5. Angelo Armenta started the inning with SDSU’s first hit of the night, while Casey Schmitt (Eastlake High School) and Joe Fitzhugh both drew walks before all three scored on Leonhardt’s double. The Aztecs were held back by season-high five defensive errors and left eight runners on base. Aztec starter Aaron Eden allowed nine hits and four hits in three innings of work. Nevada’s Anderson allowed six walks, hit two batters, and surrendered five earned runs over six innings pitched. •Matt Rudick had a 21-game hitting streak come to a close, marking the third-longest hitting streak by an Aztec during the Mountain West era (since 2000). •Brian Leonhardt recorded his fifth multi-RBI game of the season, giving him a share of the team lead with Joe Fitzhugh and Eastlake grads Julian Escobedo and Casey Schmitt. SDSU looks to even the series against Nevada Saturday night (Aopril 6) at 6 p.m. Senior RHP Justin Goossen-Brown (3-1, 3.63 ERA) is scheduled to take the ball for the Aztecs against Wolf Pack freshman RHP Owen Sharts (2-5, 6.25 ERA). The San Diego State baseball team defeated Fresno State 11-5 on Sunday afternoon (March 31) at Tony Gwynn Stadium. The Aztecs snap a three-game losing skid and improve to 15-12 (5-5 Mountain West) while the Bulldogs fall to 13-8 (4-5 MW). Jaden Fein led the Aztecs offensively, going 3-for-4 with a solo home run, three runs scored and a double, falling just a triple shy of the cycle. Casey Schmitt (Eastlake High School) and Angelo Armenta also contributed multi-hit performances, with both going 2-for-4 with a pair of runs scored. SDSU started the scoring early, opening the game with a three-run first inning. Joe Fitzhugh drove in Matt Rudick with a sacrifice fly before Armenta scored on a wild pitch and Schmitt scored on a Bulldog fielding error. After an error allowed a second-inning run to score for the Bulldogs, Fein was able to get that run right back, hitting his second home run of the season over the left-centerfield wall to make it a 4-1 Aztec lead. The Bulldogs were able to tighten things with a two-run, two-hit, two-error fourth inning to cut the Aztec lead to 4-3. David Alamillo provided some breathing room with a two-out RBI single scoring Fein in the fourth making the score 5-3. SDSU eventually broke things open with a five-run sixth inning. Michael Paredes, in his first collegiate at-bat, doubled in the left-centerfield gap to score Fein to open the sixth-inning scoring. Later in the inning, Schmitt recorded a two-RBI single before later scoring on a wild pitch. Fitzhugh capped the inning with his second sacrifice fly of the game, scoring Schmitt and extending the lead to 10-3. After two runs for the Bulldogs in the eighth made the score 10-5, Armenta recorded an RBI double to add a late-inning insurance run. 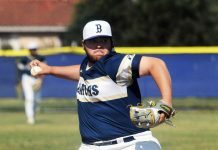 Facing an 11-5 deficit, the Bulldogs were able to score a run on a bases-loaded walk, but Casey O’Sullivan (Valhalla High School) halted any additional run-scoring chances and stranded the bases loaded after recording a game-ending strikeout against Emilio Nogales. On the mound, Schmitt earned his second win of the season, throwing five innings with four hits, one earned run, one walk allowed while striking out four. In addition to his RBI double, on the mound Paredes held the Bulldogs in check through the middle innings, allowing four hits and one earned run over 2.2 innings of work. O’Sullivan finished the game on the mound for the Aztecs, logging a trio of strikeouts with two hits and no earned runs allowed in 1.1 innings. The San Diego State baseball team used a three-run eighth-inning rally to tie the game at 4-4 against Fresno State, but ultimately fell just short in a 5-4 loss at Tony Gwynn Stadium on Friday night (March 29). The Aztecs fall to 14-11 (4-4 Mountain West), while the Bulldogs improve to 12-7 (3-4 MW). After the first two batters in the bottom of the eighth were retired, back-to-back singles by Eastlake High School grads Casey Schmitt and Brian Leonhardt gave the Aztecs a late-inning two-out scoring opportunity facing a 4-1 deficit. In the ensuing at-bat, Joe Fitzhugh drove in both Schmitt and Leonhardt on a hard-hit double into the left-field corner to cut the deficit to one. Fitzhugh later scored the game-tying run from second after Fresno State shortstop J.T. Arruda made an off-line throw on a Chad Bible ground ball. Unfortunately for SDSU, a one-out ninth-inning RBI single by McCarthy Tatum gave the Bulldogs a 5-4 advantage. SDSU started the bottom of the ninth with a Matt Rudick single, but Bulldog closer Jamie Arias was able to retire each of the next three batters he faced to secure his fifth save of the season. The Aztecs opened the scoring in the second inning, capitalizing on a Bulldog miscue to allow Schmitt to score. Fresno State scored four runs in the top of the fourth to take a 4-1 lead, using three hits and two walks in the frame. Aaron Eden tied his career-high with seven strikeouts in a no-decision, allowing four runs on six hits with four walks. Jacob Flores was dealt a tough-luck loss, allowing just one hit and one run over a 2.1 inning relief outing. Fresno State starter Ryan Jensen went 7.2 innings, allowing six hits, four runs (two earned), while walking three and striking out five. Rudick (2-for-5), Leonhardt (2-for-5, R, 2B), and Fitzhugh (2-for-4, R, 2 RBI) each recorded a multi-hit performance to lead the Aztecs at the plate.